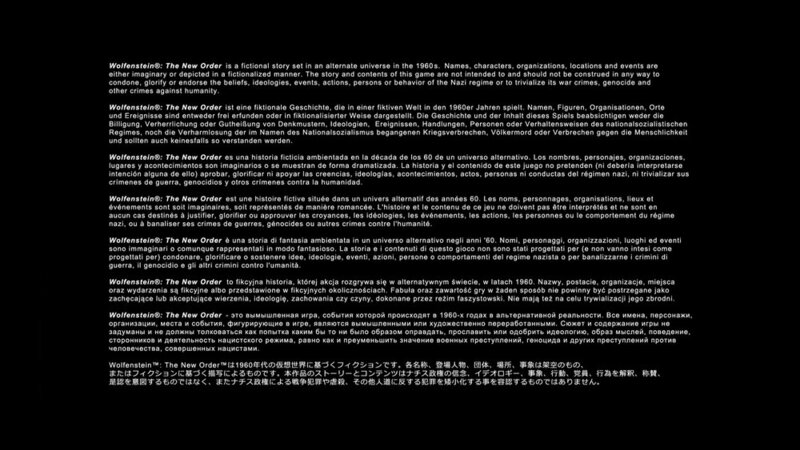 I was a bit put off by some of the language in WTNO’s UI, they lean a bit much in the tough guy machismo, both on the level select screen (Can I play Daddy being the easiest difficulty mode is iffy) and the ‘exit game’ menu calling you a wimp for stopping mid-session is also a bit gauche. But I’m not entirely sure if it’s coming from sincerity or a self-parodying jab, so it's not the end of the world. 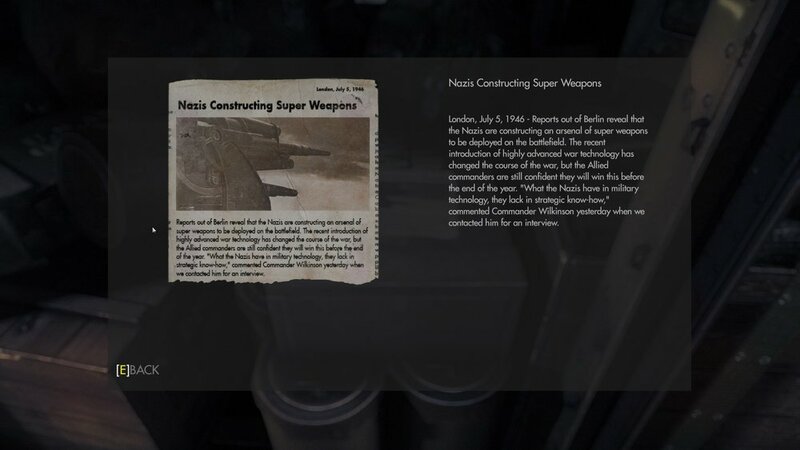 The game starts in an introduction mission where you’re assaulting a Nazi compound in an airplane with your crew. I really enjoyed the world building WTNO creates with newspaper clips, radio broadcasts and some dialogue here and there. You do a few turret sequences, you crash the plane, you swim to safety, and keep on with the mission. There are four perk trees you can unlock by doing specific actions and while they’re nice and offer good rewards they kinda conditioned the way I played the game. I wanted to unlock as much as possible from the tree so I forced myself to sneak around, shoot from behind cover and use special features. It’s a nice idea to tie perks to these kind of challenges because it forces you to vary the way to play. After a few events, I chose a character to save and was thrown int othe Fergus Timeline where I could collect health upgrades through hotwiring. I suppose that the game isn’t super different depending on which character you save at that point, but it’s a nice thing to think that I could do a second playthrough and see the differences. 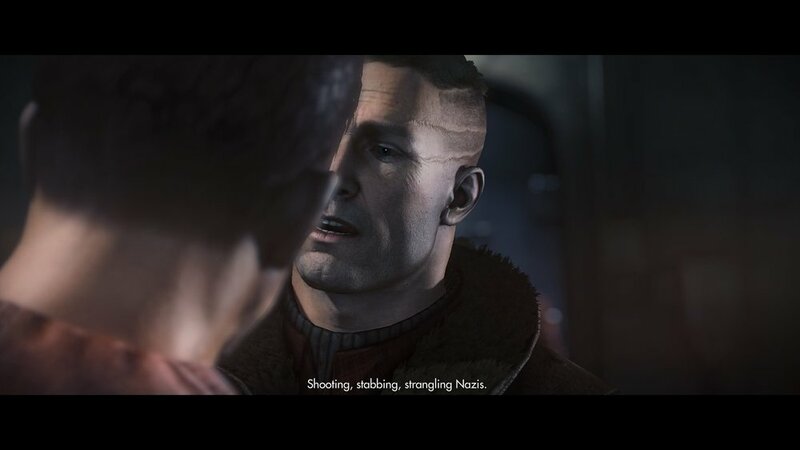 Time passes in the story and you’re brought full stop to a world where the Nazis won. I really like what they did with the alternate story, it’s not too gloomy while not being too humorous and I think they make a bunch of good points about politics and how people react in certain situations. 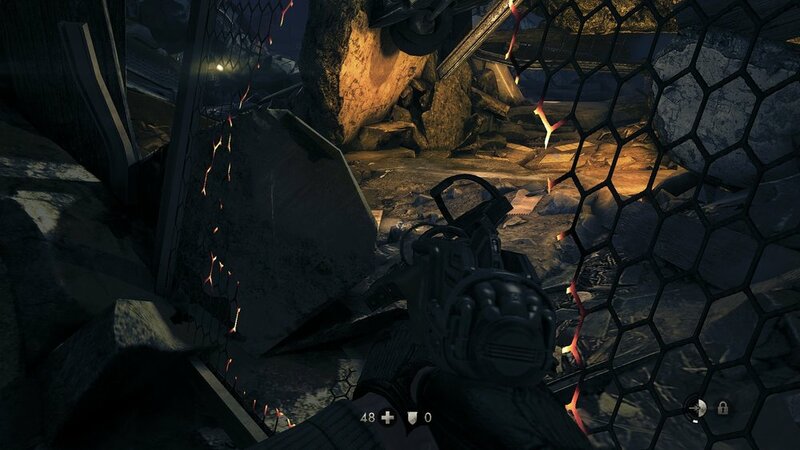 You then get thrown through a bunch of situations where you explore maps to accomplish objectives while shooting enemies, collecting power-ups and upgrading your weapons. It’s a bit weird of an issue, but I feel like that is too much stuff to pick up in WTNO. 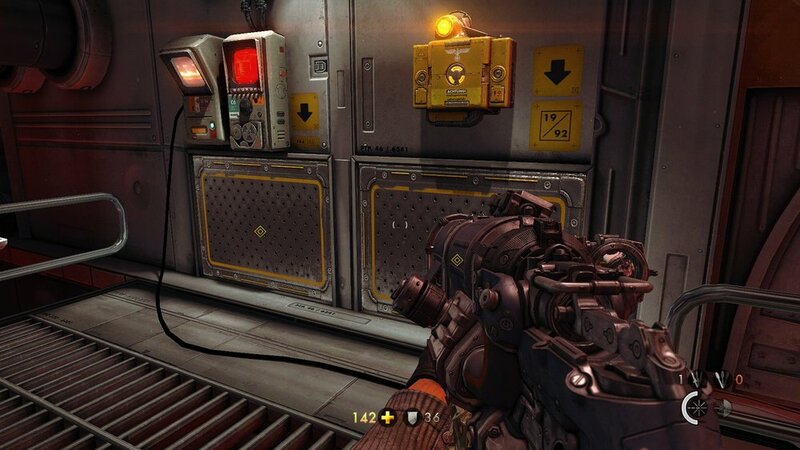 I kinda wish that you would attract collectibles like ammo, armor packs and grenades instead of having to mash the E button everywhere and on everything. There’s a map to help you find rarer collectibles like upgrades, enigma code parts and other treasures, and it’s okay, although not the most useful map ever. I got lost a few times where I had absolutely zero idea where to go and the game wouldn’t point me to the right direction. This became a bit worse after I got the special laser weapon that could cut specific wire fences and metal panels, but in general the game was pretty good about letting me explore. 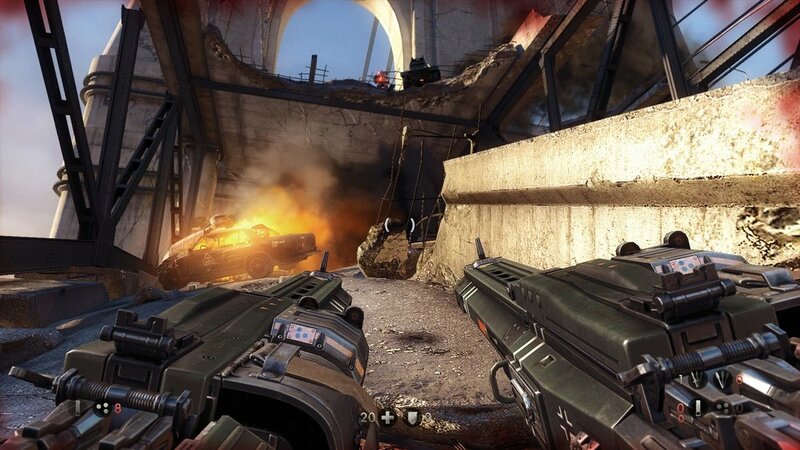 The weapon selection is fairly good as well, between dual shotguns, laser weapons, knives and grenades, everything with an alternate shooting mode, I didn’t feel bored. Ultimately, I don’t want to talk too much about the story and the different situations you get thrown in because it’s a great thing to go through. Also, while the difficulty was a bit tough for me (even on normal), the gameplay solid and I knew that the times I died was because oh bad playing on my end. 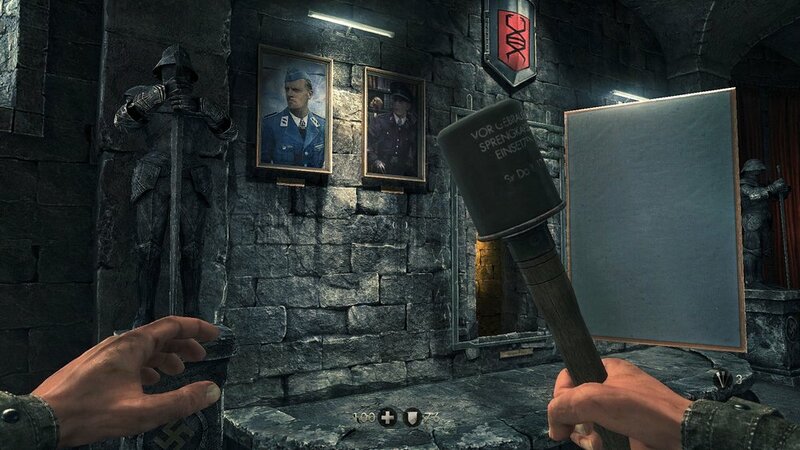 Before you play the most recent Wolfenstein game, I wholeheartedly recommend you take a look at this one, it’s super interesting.